Demand for flexi-access drawdown or fixed term plans is likely to increase if the State pension age is increased to age 70 as people retiring before this age make short term plans for their income. There have been two reports published last month suggesting the current State pension age of 63 for women and 65 for men should be increased faster than expected and ministers will make a decision about the changes in May 2017. A report from the former head of the CBI John Cridland points to a need to increase the State pension age to 68 and the report from the Government's Actuaries Department (GAD) to age 70. Current plans are for the State pension age to rise to 66 in 2020 and reach age 67 between 2026 and 2028. Plans are for this to increase to age 68 from 2044 to 2046. The Cridland Review recommends the State pension age should rise to 68 by 2039 seven years earlier and GAD expects this to rise further to age 70 between 2054 and 2056. 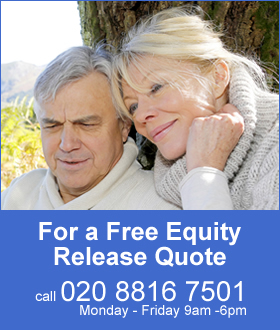 Pension freedoms introduced in April 2015 allow people to use flexi-access drawdown or fixed term plans to take benefits from their pension rather than an annuity. In 2013 annuity sales were in the region of 90,000 per quarter with a small percentage opting for drawdown and this figure decreased 75% to about 20,000 per quarter in 2015. According to the CBI, in the last three quarters of 2015 following the changes £4.2 billion was invested in 63,600 drawdown plans compared to £3.3 billion in 61,700 annuities. The traditional retirement age for most people is between 60 and 65 leaving many with a shortfall in income until they receive their State pension, which would boost other pension income they receive such as from a company pension scheme. To match the inflation proofed £7,500 pa income from a State pension during this period using an annuity would require a fund in excess of £200,000 whereas the average fund size would be about £50,000. For those with smaller additional funds saved such as in additional voluntary contributions (AVC), personal pensions, stakeholders or company money purchase schemes, buying an annuity would provide too little income and then would continue for their lifetime. A flexi-access drawdown or fixed term plan on the other hand offers great flexibility and can pay the income you need for the time period until you your receive the State pension. This will apply to more people at retirement in the future that find themselves retiring before they receive their State pension. 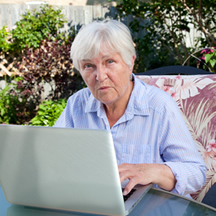 The government spend about £100 billion a year on retirement benefits and with an aging population the number of people entitled to these benefits is increasing compared to those of working age. To control costs the Cridland Review recommended scrapping the tripple-lock ensuring pensions rise by inflation, earnings or 2.5% whichever is the highest. As a result of the policy State pensions have increased by an extra £1,100 per year since 2010. The Government's Actuaries Department was asked to consider two scenarios where someone spends either 32% or 33.3% of their projected adult life in retirement. Under the 32% scenario the State pension age could rise to 69 between 2040 and 2042 whereas under the 33.3% scenario the age could rise to 69 between 2053 and 2055. The Work and Pensions Committee research reveals in some deprived areas of the UK the increased age to receive the State pension is higher than the life expectancy for men and women. The lowest life expectancy is in Parkhead West and Barrowfield area of Glasgow where men can expect to live to age 62.5 years and women to age 70.1 years. In England the lowest male life expectancy is 67.5 years in central Blackpool and there are 26 areas where you will live less than 70.5 years. This compares to Westminster where males can expect to live for 92.9 years on average.